These are photos of the city of Aswan in the south of Egypt on the banks of the river Nile. 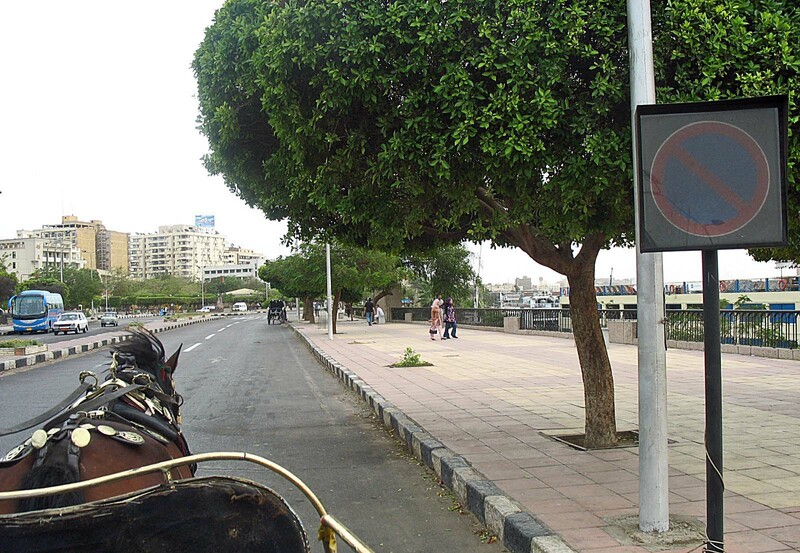 It is an ancient city and home to stone quarries of ancient Egypt, The rock, Syenite, was used to to build statues and obelisks, pyramids and temples all over Egypt. It is now a tourist centre. 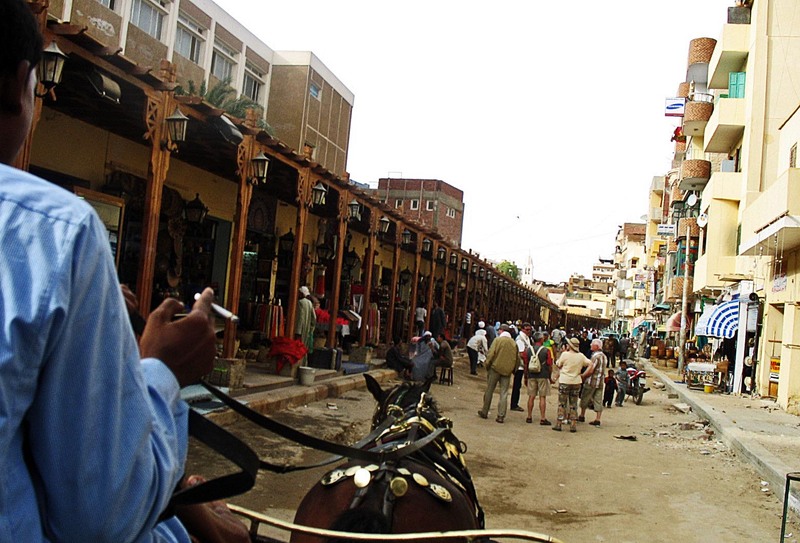 This photograph is of a main street in Aswan. This is a market at Aswan. A group of tourists are standing in the market. This is a photograph taken from a boat docked at Aswan dock. 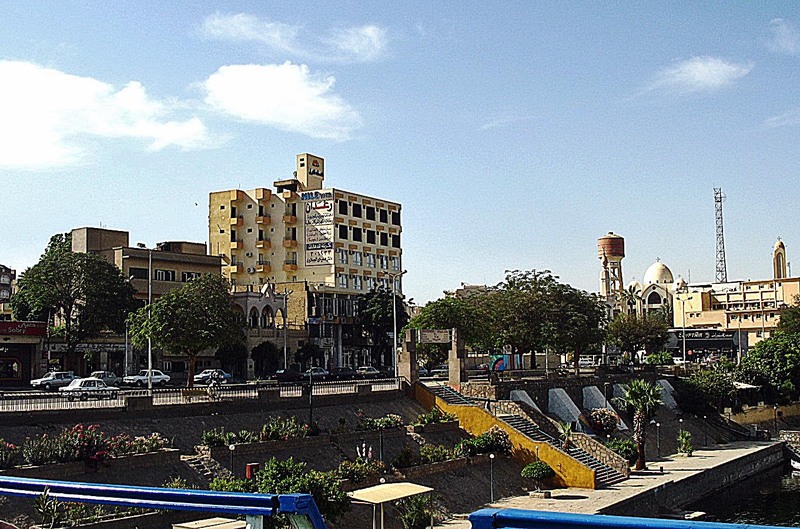 The banks of the Nile can be seen as well as the desert in the background. Boats can also be seen in the picture. 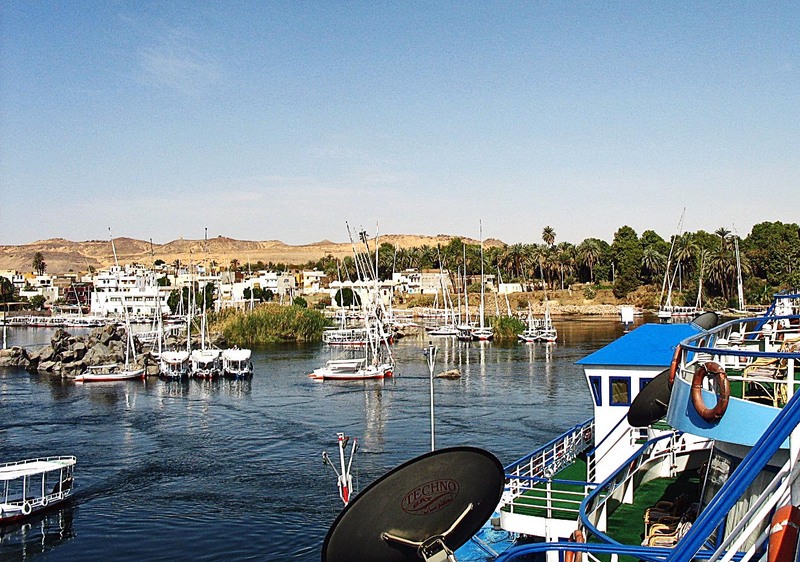 This is another shot from the boat, this time of the city of Aswan.